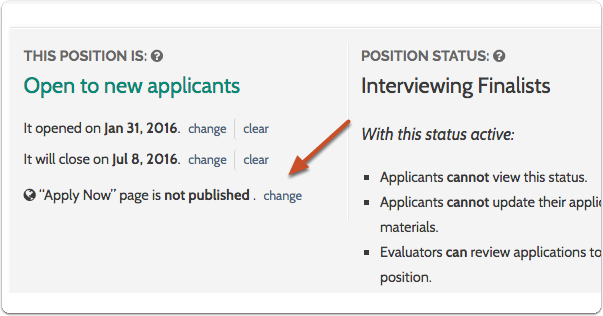 A Interfolio Faculty Search position is either "Open," meaning the positon is accepting new applications, or "Closed," meaning no new applications are being accepted. 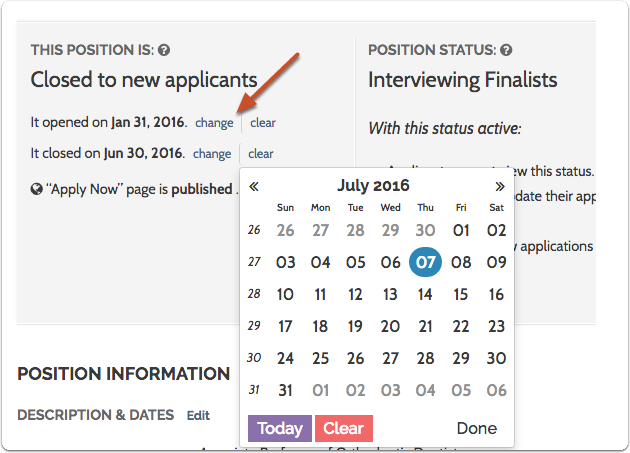 Committee Managers and Administrators can close a position when applications are no longer being considered, either because a hire has been made or for some other reason. If you need to reopen a closed position, follow the instructions below. 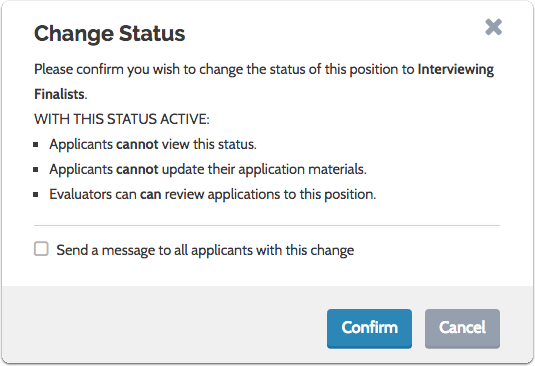 Then select Change, near the position's status field, and then choose a new status for the re-opened position.